Explanation: Dust from curious near-Earth asteroid 3200 Phaethon seems to fall from the constellation Gemini in this fisheye skyview. The composite image was recorded over four December nights (12-15) just last year from Ludanyhalaszi, Hungary. Of course, the streaks are meteor trails from the annual Geminids meteor shower. The work of astronomer Erno Berko, the finished picture combines 113 different frames and captures 123 separate meteors. 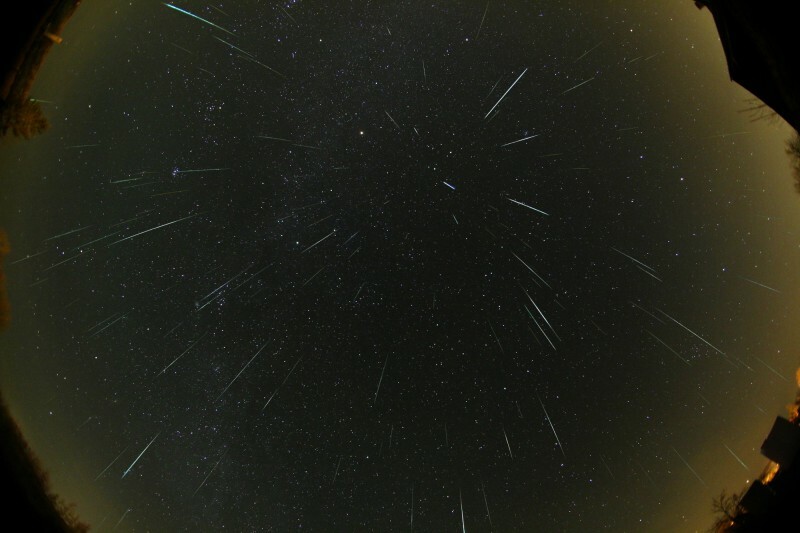 The Geminids is one of the northern skies most reliably performing meteor showers and did not disappoint last year. Under good conditions some skywatchers reported well over 100 meteors per hour near the December 14/15 peak for the Geminids in 2007. Look up tonight and you might see the 2008 Quadrantids.